Nintendo shocked the world with an out-of-left-field announcement on March 17th: Our friends from Japan are stepping into the mobile games market, and are also hard at work on a new piece of hardware (dubbed the “NX”). This news was largely unexpected, catching gamers all around the world off guard, coming at an odd time with E3 just around the corner. At the time of the announcement, Nintendo (OTCMKTS: NTDOY) was trading at $14.29 a share, at a volume of 56,300 shares the previous day. The day of the announcement, the market closed with Nintendo trading at a staggering $18.22 a share (close to a 27.5% gain), and at a volume of over 2.24 million shares. The following day, the price of Nintendo stock jumped to a high of $24.50, and would end up closing at a price of $22.15 (ANOTHER gain of over 21%). Back-to-back days of over 20% gains is rarer than a gold piece of armor in Destiny, even more so for a blue chip stock (Nintendo pays an annual dividend yield of 0.5%). After these massive gains, the day traders on the market swooped in to make their money, as the stock came back down to Earth, closing on March 19th at $19.60 a share. 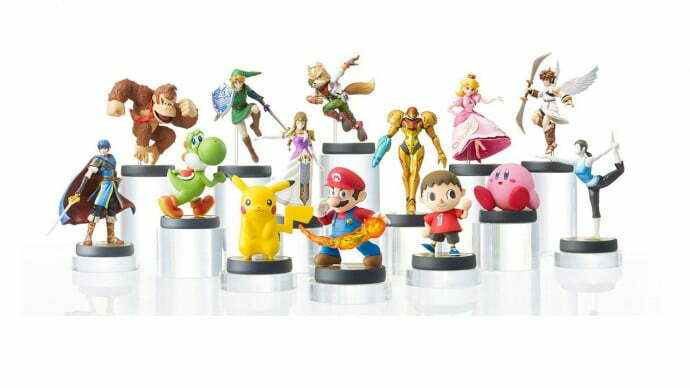 Amiibos look great, both in-game and on your shelf. Nintendo stock will most likely fluctuate until some kind of concrete fiscal gain is realized in the form of mobile games. Nintendo is a solid stock, but this will cause some volatility in the short term. Between day traders moving in to capitalize on the hype and excitement of Nintendo in the mobile space, and the uncertainty around how Nintendo will actually execute injecting Mario and Co. onto our smartphones, shares of the stock will be bumping up and down awhile. Nintendo stock will be on the uptick, and is a solid long-term investment, but short-term investors may have missed their chance, and will most likely want to steer clear of Nintendo. At least until it looks to be coasting again.